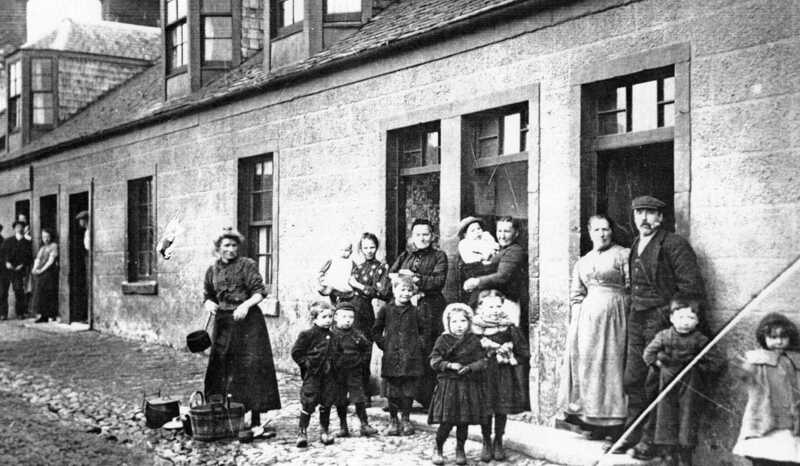 These photographs are from the archived collection in the Heritage Centre, Coalburn. They formed part of a series of booklets prepared by Jim Hamilton for the Lesmahagow Parish Historical Association in 1993. Some of these photos have no dates. Where information is given on the date, it is shown in the text. 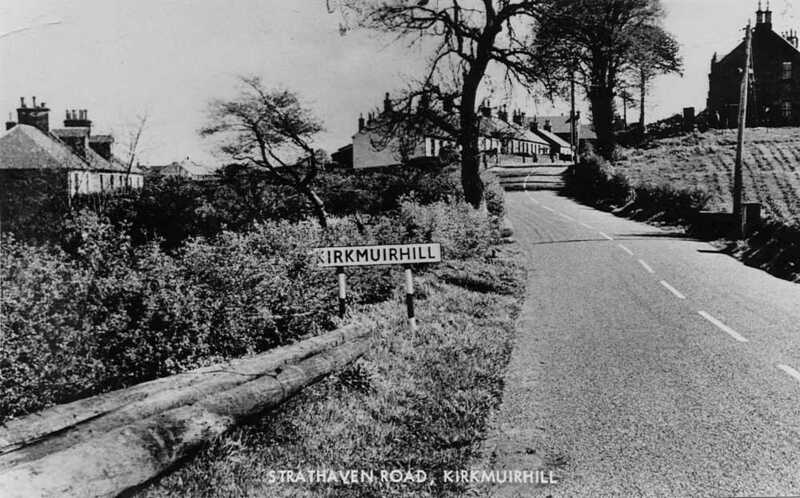 Although Blackwood and Kirkmuirhill today are merged, their history viewed them as separate villages. 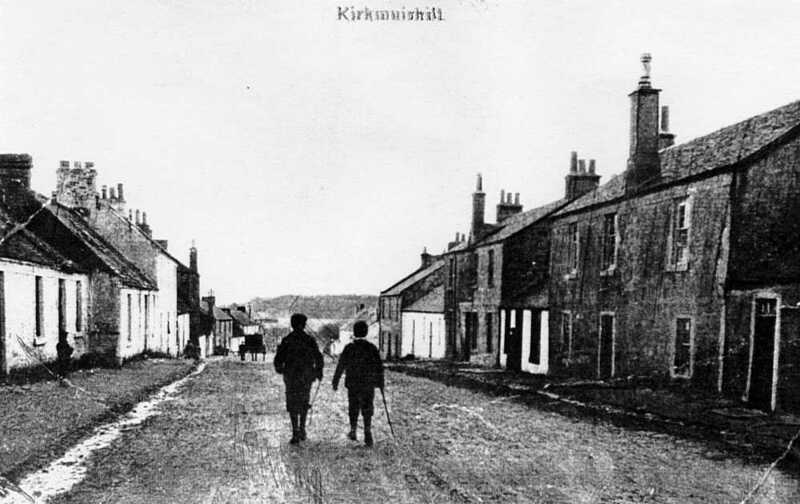 This photo and excerpt from the Glasgow and Lanarkshire Illustrated in 1904 gives the background to the development of Kirkmuirhill up to that date. 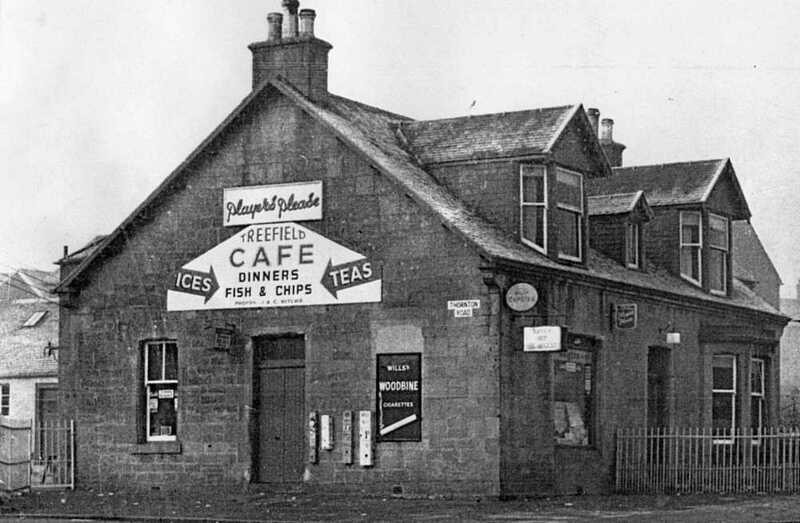 Kirkmuirhill is one of those strangely-clustering little villages scattered at various places throughout the country, and whose origin, at first sight, seema a trifle problematic. 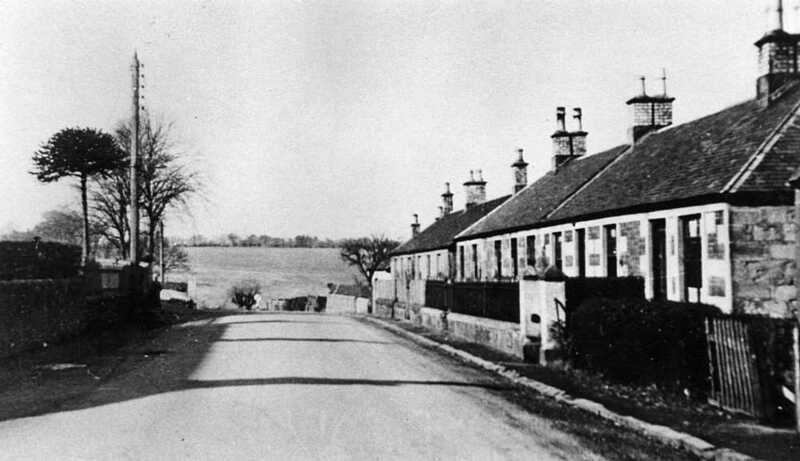 As a matter of fact, Kirkmuirhill, unlike its younger neighbour, Blackwood, and its more venerable companion, Lesmahagow, is a relic of the stagecoach days.Though situated between Lesmahagow and Blackwood, some considerable distance from the main road between Glasgow and Carlisle, it was not always thus. 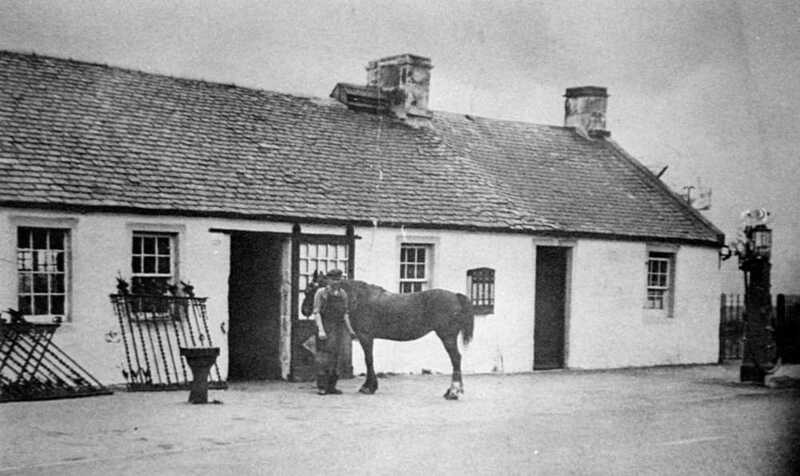 Up to 1820, the main road passed through Kirkmuirhill, and before the village existed the spot was chosen as a convenient stopping place for the stagecoach from Glasgow in order to make a change of horses. This meant the erection of stables, an inn, and a number of dwelling-houses, and so the village grew. But in 1820, the road was carried in its present direction, and the bridge over Birkwood Burn contains this inscription: "This bridge was built in 1820 by James King from a plan of Thomas Telford, engineer, being part of general improvement of the road between Glasgow and Carlisle then carrying on." On the withdrawal of the stagecoach, the village became gradually inhabited by the mining classes, who now form the bulk of its population of 500. To accommodate the people a Church (United Free) was built in 1868, the present minister being the Rev. Robert Kerr, M.A. The opening up of the railway to Blackwood a few years ago was chiefly to convenience Kirkmuirhill and the surrounding farming class. Kirkmuirhill Cross viewed from the road called locally "Main Street". 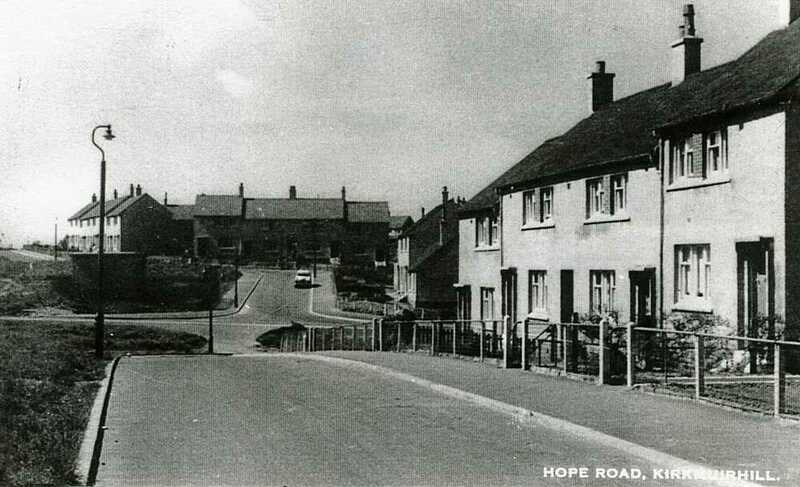 From the white building on the right which was on the south end of the cross roads, the area was referred to as "up the toon". 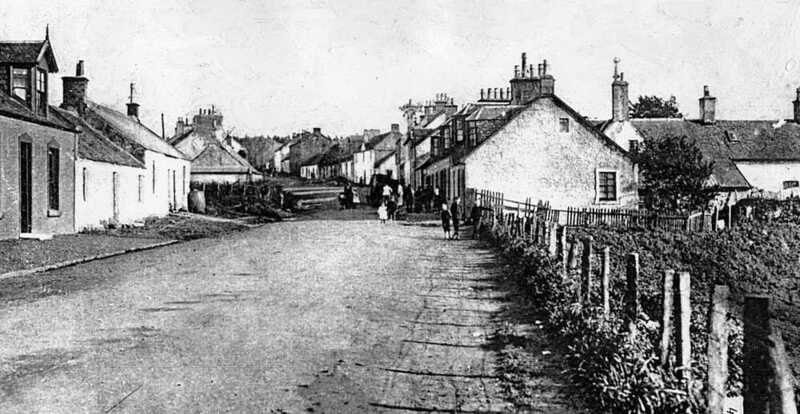 Street Scene near Kirkmuirhill Cross around 1900. One woman seems to be scouring her pots for emptying into the sheugh between the pavement and the untarred road. The boys and girls are warmly clad and well shod. Note the length of the dresses of the women. Everyone appears to be interested in the taking of the photograph by the cameraman, no doubt a rare sight around 1900. 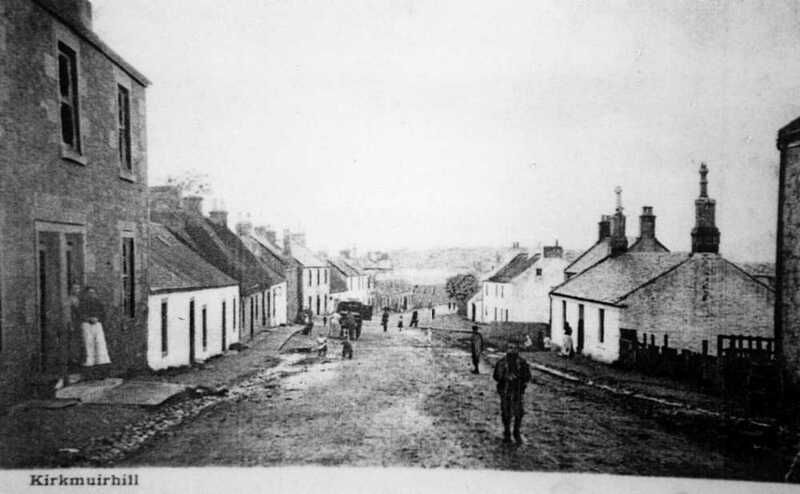 Two photographs showing the number of cottages and tenements on the south side of Kirkmuirhill Cross which resulted in it being the most heavily populated part of the village. 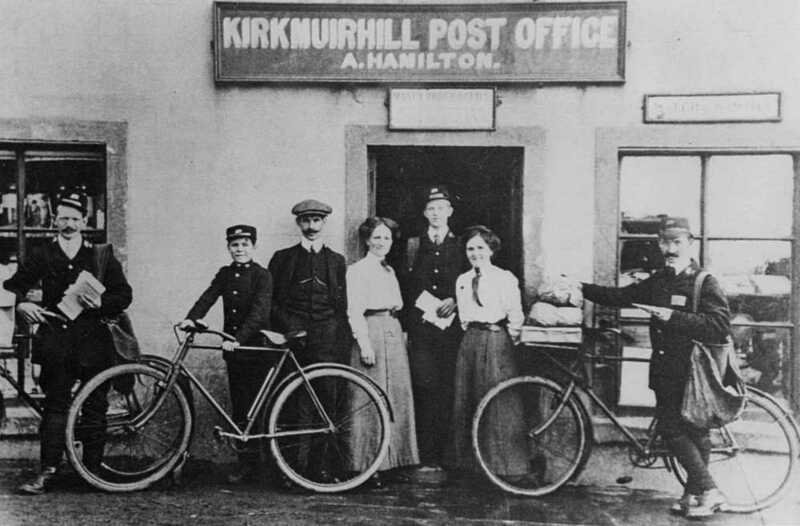 Kirkmuirhill Post Office Left to right: Jimmy Reston, Telegram Boy, Arthur Kirk, Annie Hamilton (Postmistress), Tom Jackson, Mrs Marchbanks (sister of Annie Hamilton), Dan Duncan. 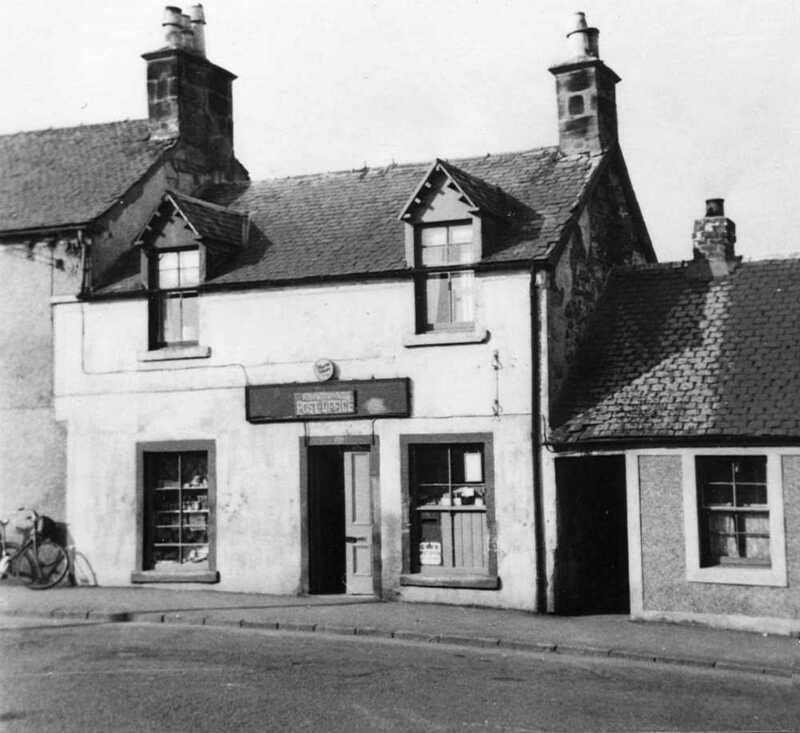 Kirkmuirhill Post Office in the 1950s. John Miller took over the post office from Annie Hamilton. John was formerly a miner at the Auchenheath pit, but an explosion resulted in the loss of two fingers on his right hand and ended his days as a miner. In 1927 he married Isabel Macleod and together they ran the post office until 1955 when John died. Isabel stayed on to help the new owners, Mr and Mrs Robert Mitchell, settle in and continued to help them until she became seriously ill in 1963. John McRae at his smiddy in Carlisle Road, Kirkmuirhill in 1936. At the side of the building was the date 1826. The smiddy closed in 1955. The first John McRae came from the Highlands and, working his way south, finally ended up in Kirkmuirhill to start a business as a blacksmith. The business was passed from father to son over 4 generations of John McRae. The last John McRae was the father of Jimmy McRae, who together with his sons achieved great success in motor rallying. 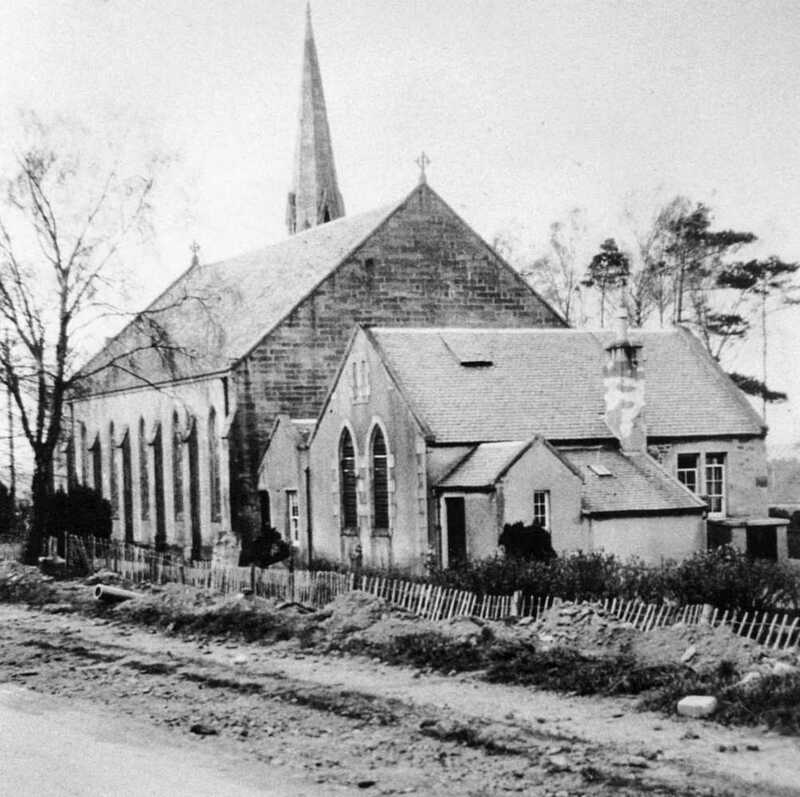 Kirkmuirhill Church when the footpath was being worked on. No date given. 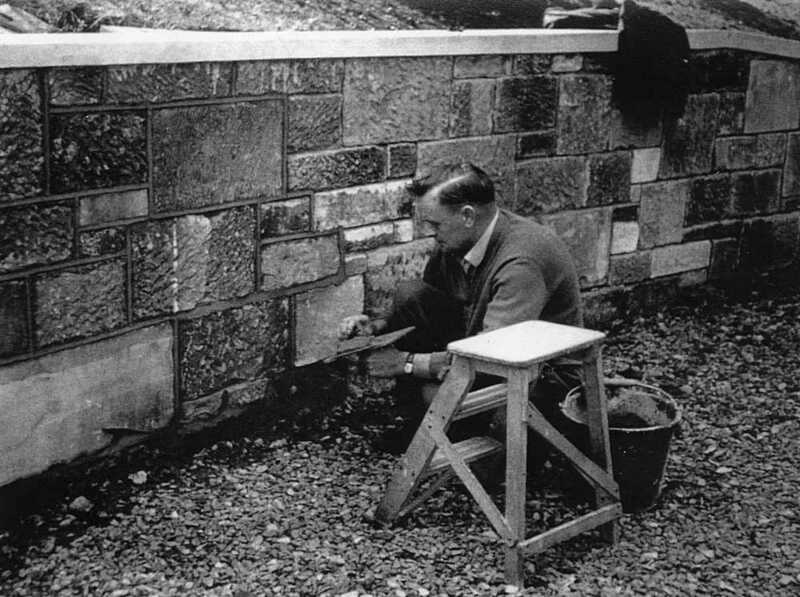 In 1968, Duncan Pate, a time-served bricklayer, volunteered to build a retaining wall at Kirkmuirhill Church and he was amused that his labourer was Mr Lyall, the minister at that time. It was truly done as a labour of service to the church but his efforts were appreciated and a very appropriate and acceptable gift was surprisingly thrust upon him at his home one evening by the minister. 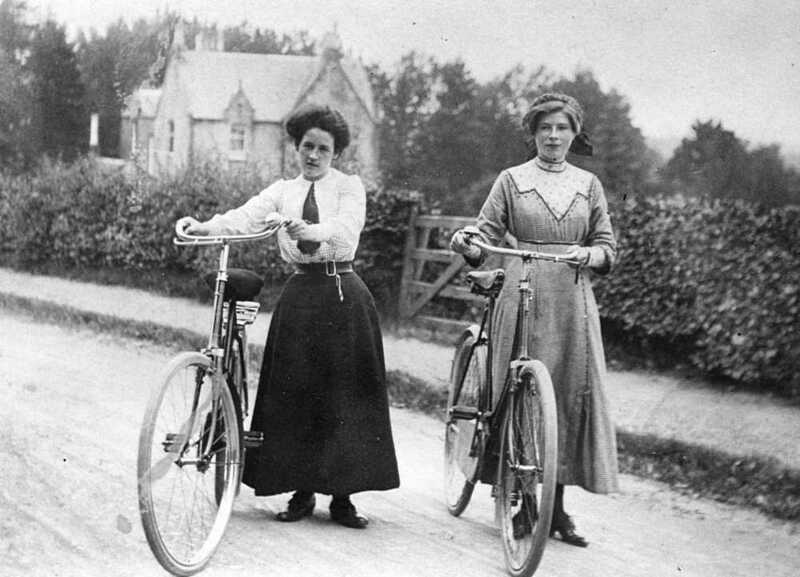 Cyclists Agnes Hamilton and Barbara Waddell in 1914 on Carlisle Road with Kirkmuirhill Church Manse in the background. 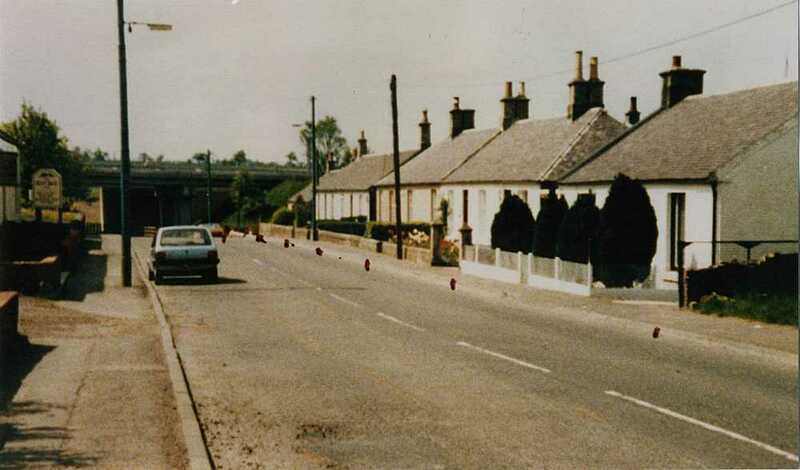 The area on entering Kirkmuirhill from Strathaven is known as the Westend. These two photographs are from Mr Andrew Allan. 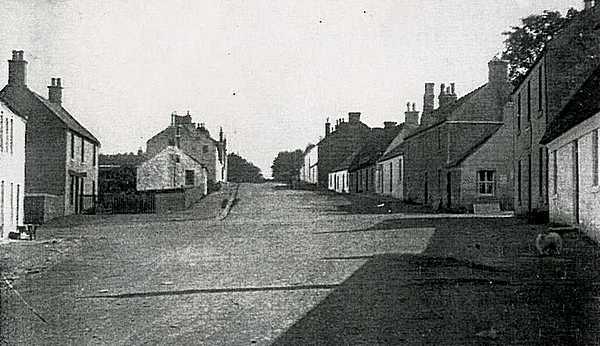 The Westend in the 1920s. Railings were removed compulsorily for iron for armaments during the 1939-1945 war. Then there was no pavement on the left. A village pump can be seen. 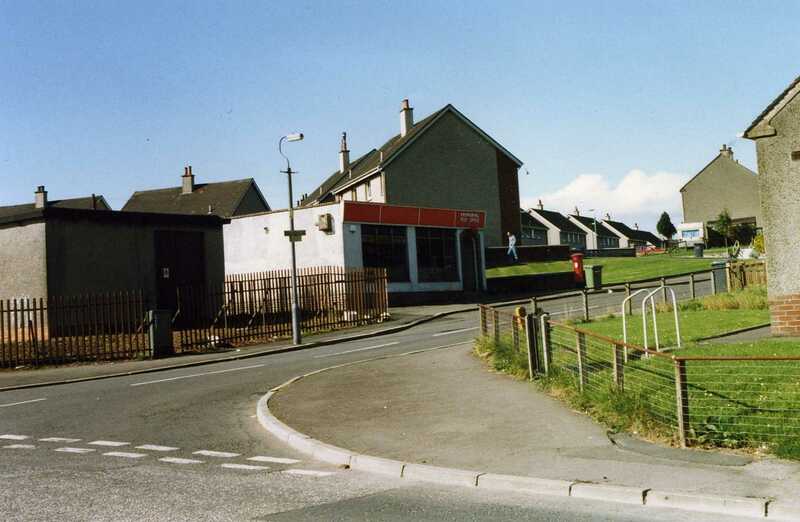 West End of Kirkmuirhill in 1987. The bridge takes the M74 over Strathaven Road. Page produced: 01 March 2018. Revised and more photos added 13th May 2018 DJH.